Story revolves around Craig Schwartz (John Cusack), a puppeteer struggling in a wintry economic climate. His wife Lotte (Cameron Diaz) works as a pet store clerk and brings in most of the household income...as well as a ridiculous number of animals. Their relationship has completely lost its spark, but change comes after Craig gets a job as a file clerk at Lestercorp. Everything about this new job just seems a little off, though: the ceilings are five feet high, co-workers communicate on a different wavelength and his new boss claims to be over 100 years old. More change comes when Craig discovers a small door in his office which leads to the mind of John Horatio Malkovich (John Malkovich). Amazed, he shares his discovery with his wife and his devious coworker, Maxine (Catherine Keener). Maxine hatches the plan to sell admission into John Malkovich's head...and the whole story rushes headlong into absurdity from there. What are the potential consequences of using Malkovich's mind as an amusement park ride? • Selected-scene Commentary - this selected-scene commentary features Spike Jonze's friend and competitor director Michel Gondry. Originally recorded to the full duration of the feature, his commentary has been abridged for reasons of accuracy, audience interest, and legal liability. Occasionally asking is Michel Gondry's longtime editor, Jeff Buchanan. In English, not subtitled. (58 min, 1080p). • An Intimate Portrait of the Art of Puppeteering - a fascinating short piece on the art marionette manipulation, with excellent comments by Phil Huber. In English, not subtitled. (8 min, 1080i). • "American Arts & Culture" Presents John Horatio Malkovich: "Dance of Despair and Disillusionment" - the faux mini documentary from Being John Malkovich. In English, not subtitled. (5 min, 1080i). 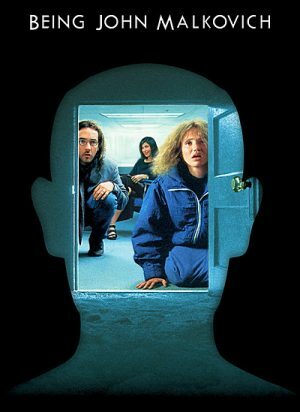 • 7 1/2 Floor Orientation - another hilarious segment from Being John Malkovich, which reveals how the strange 7 1/2 floor came to exist. In English, not subtitled. (3 min, 1080i). • Spike's Photos - director Spike Jonze's recalls how Being John Malkovich came to exist, while showing various photos taken during the shooting of the film. This video piece was made by filmmaker Lance Bangs for Criterion. In English, not subtitled. (16 min, 1080p). • John Malkovich and John Hodgman - in this excellent video interview, John Malkovich recalls his initial impressions of Charlie Kaufman's script and his collaboration with director Spike Jonze, and discusses the film's unusual structure, whether its message has dated well, the end of privacy in the Internet era, etc. The interview, which is conducted by actor and Humorist John Hodgman, was recorded in Brooklyn in November 2011. In English, not subtitled. (28 min, 1080p). • All Noncombatants Please Clear the Set - filmmaker Lance Bangs documented the entire shoot of Being John Malkovich. This documentary feature captured the atmosphere on the set. In English, not subtitled. (34 min, 1080i). • Trailer - original theatrical trailer for Being John Malkovich. In English, not subtitled. (2 min, 1080p). • TV Spots - in English, not subtitled. -- JM Inc. (1 min, 1080i). -- Tunnel (1 min, 1080i). -- Spithead (1 min, 1080i). -- Vesselis Humanus (1 min, 1080i).